For more seasonal indulgence, the Red Berry and Wild Blossom soap set has a winter fruit fragrance, plus notes of spicy pink pepper and rose. Yummy. To win both in our prize draw, simply leave your name and last order number in the comments below. Bronnley is an iconic British brand established 130 years ago. James Bronnley, the founder, studied perfumery and soap making in France before setting up in London, and quickly gained a reputation for luxury and quality. You possibly remember the famous lemon shaped soaps from your grandmother’s bathroom when you were little, and nowadays they make a contemporary range full of pampering treats. Enter below to try them out. 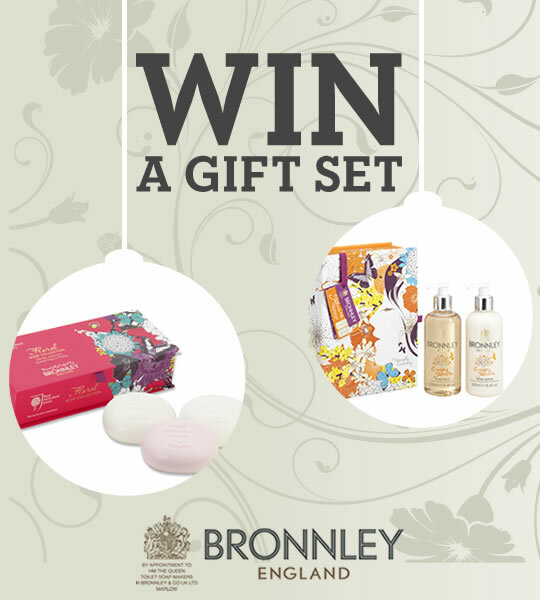 Prize Details: There 10 prizes of 2 Bronnley Gift Sets each. The winners will be selected at random in the week commencing 27/10/2014. This entry was posted in Competitions and Prize Draws, Talking Ocado and tagged Bronnley, Christmas, competition, freebie, gift set, giveaway, Groceries, luxury, Ocado, Ocado deliveries, Ocado groceries, ocado.com, pamper, prize draw, shopping, Shopping at Ocado, soaps, toiletries, treats, Win by Ocado. Bookmark the permalink. Name: George Worboys Wright. Last order number: 3194237388.
are current in just about every other smartphone.